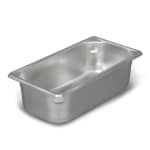 The Vollrath 30342 Super Pan V® third-size hotel pan has a bright finish that creates a clean, professional look. Since it is constructed of stainless steel, it is corrosion, dent, and scratch resistant. This material is also easy to clean with the assistance of the smooth curves. The corners are designed for strength and to make pouring and emptying the contents simple. 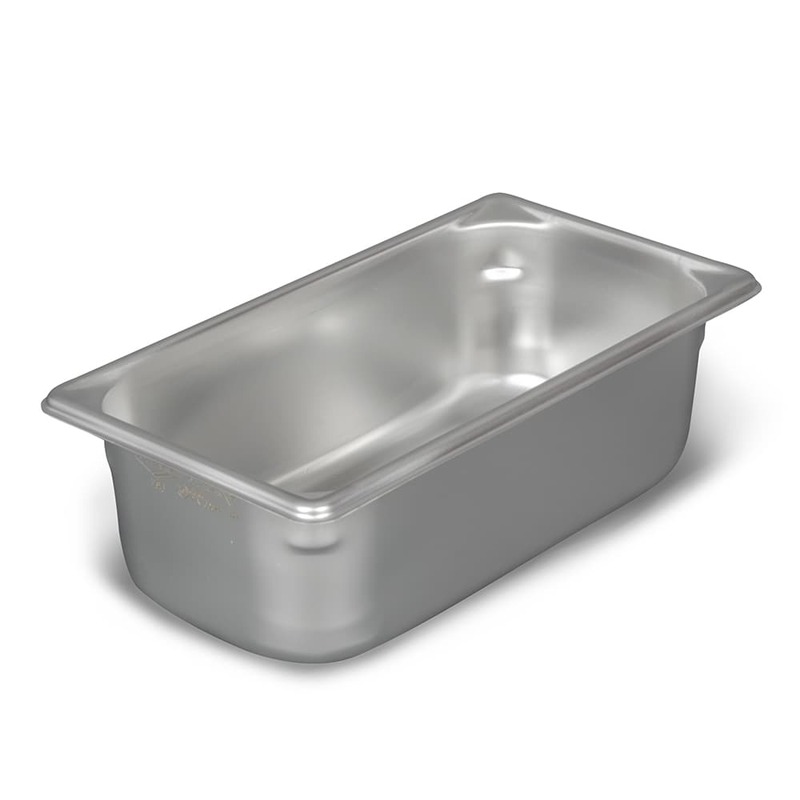 This Vollrath 30342 Super Pan V third-size hotel pan has a 4.1-quart brimful capacity.